In week three, the Warlocks finalized our 2018 robot design! 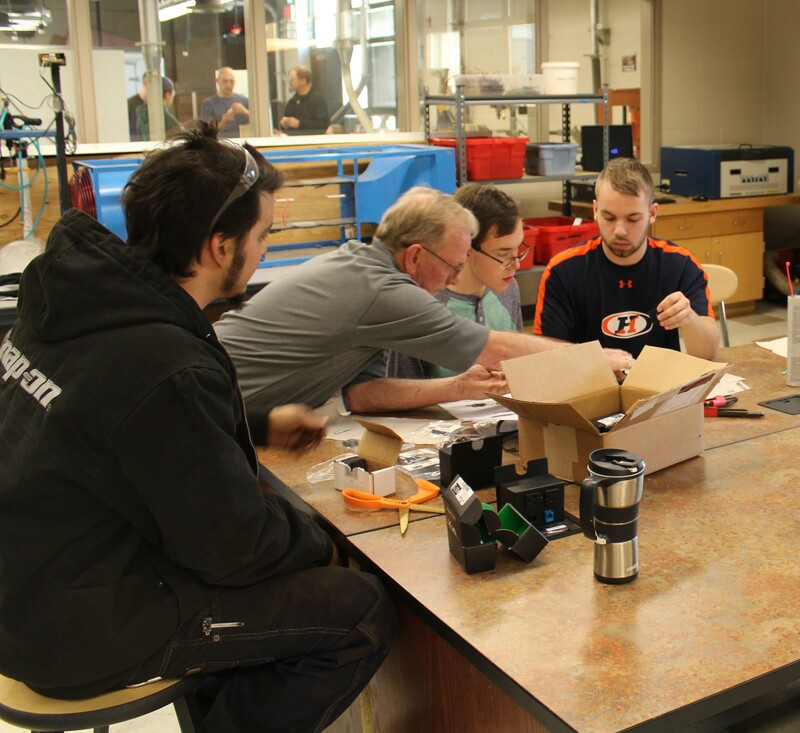 Working together, the build team learned how to use a CNC machine that cuts the parts that form our robot base. The final parts were then sent to MAHLE where they were professionally powder coated our school colors: blue and yellow. Some students on the build team took the opportunity to learn from senior Warlock, Nate and Mr. Paul Dannebrock, of Ingersoll-Rand, how to airplane rivet the robot base. Then our build team students along with Mr. Mike Stutz, of GMCH, put together the lightweight and superior base yet again this year.